You'll discover tucked-away gems like Iceberg Lake and Fishercap Lake. Spend the 25th (Tue) exploring nature at Waterton-Glacier International Peace Park. Spend the 27th (Thu) exploring nature at Red Rock Falls, Glacier National Park. 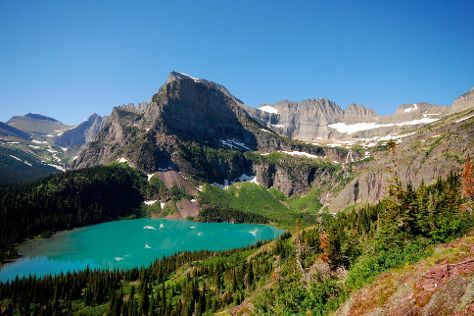 The adventure continues: trek along Grinnell Glacier, explore the activities along McDonald Creek, appreciate the extensive heritage of Garden Wall, and take in the dramatic natural features at Jackson Glacier Overlook. To see photos, other places to visit, and more tourist information, use the Glacier National Park online vacation maker . Expect a daytime high around 75°F in June, and nighttime lows around 45°F. Cap off your sightseeing on the 28th (Fri) early enough to travel back home.